We manufacture louvred panels for horse floats. 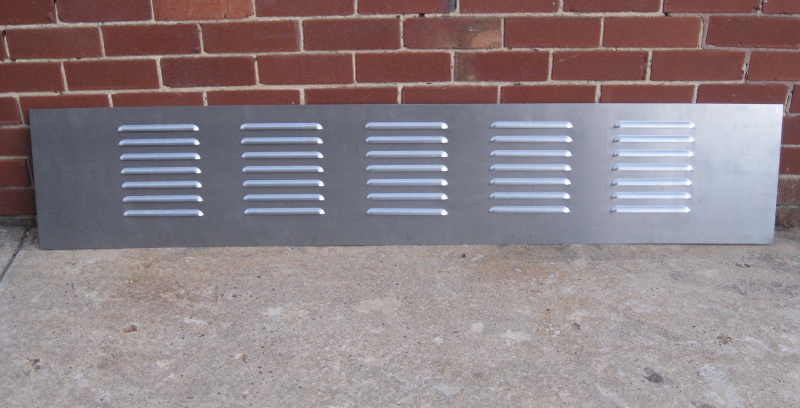 This one shown is 1832 long x 350mm wide with 5 rows of 200mm long louvres 15mm wide. We can supply any overall length panel up to 2metres long. 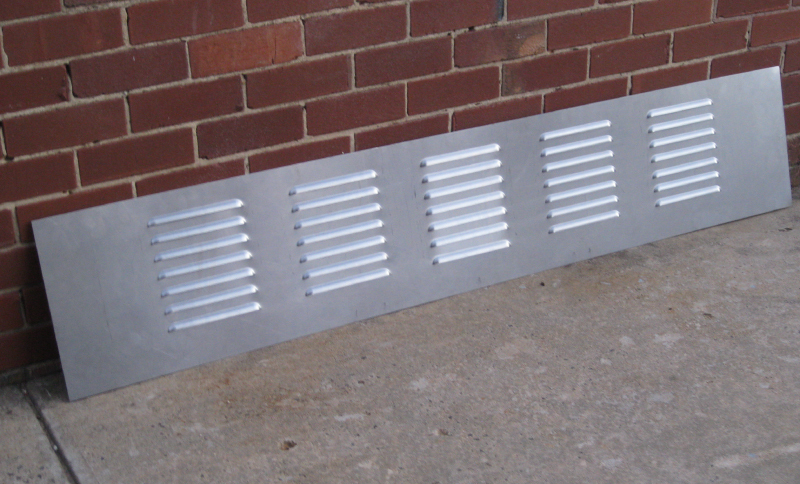 We can put in anywhere from 100mm wide to 200mm long individual louvres, spaced appropriately to suit. Just let us know what you would like, 3 rows, 4 rows, 5 rows, 6 rows etc. It is best to write to us at our email address speedex@speedex.com.au and tell us what exact length and width you would like and also how you want delivered so we can calculate delivery cost unless pickup from us directly at our factory in Melbourne. 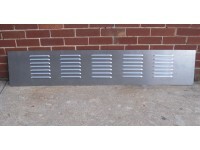 The following louvers are to fit on a Horse Truck, where they are made removable due to vaious seasons in the year. 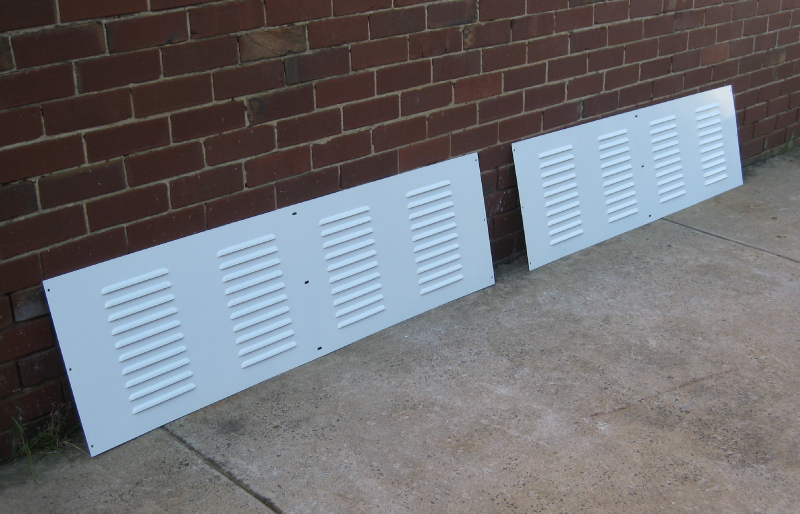 They measue 1500mm - 1540mm in length and are 450mm high with 200mm long individual louvers pressed in with 4 rows. They have been powdercoated in white colour. 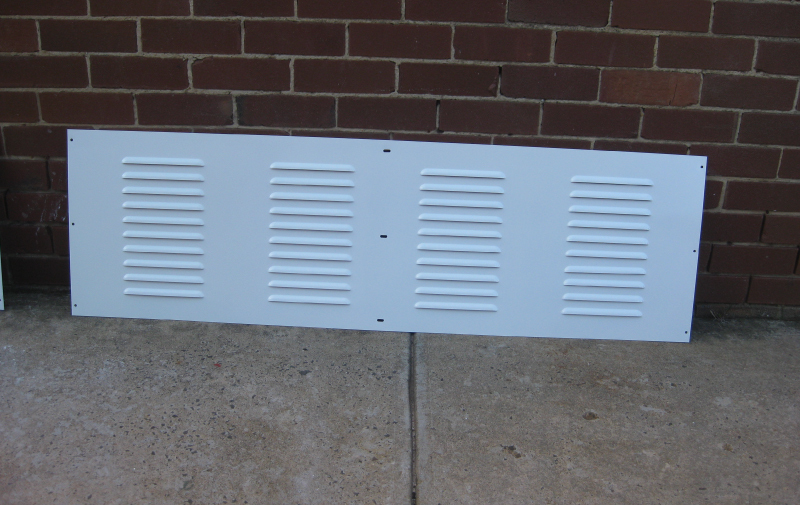 We manufactured 8 panels.